Launching a start-up social enterprise in any country is challenging, but starting one in a country ranked 161st on the World Bank’s 186 economy “Doing Business Index” requires a different kind of business acumen. 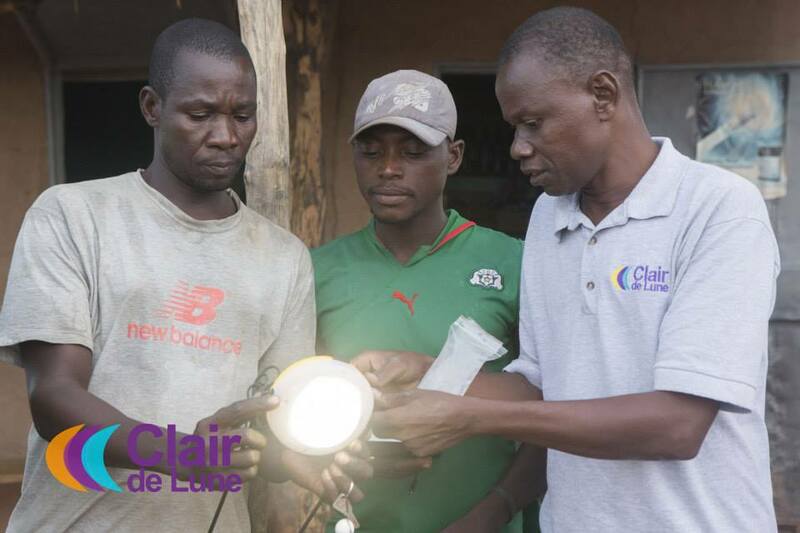 Our social enterprise, Clair de Lune, has developed a distribution platform for high-impact goods, such as off-grid cell phone-charging solar lamps, to reach base of the pyramid customers in West Africa. Clair de Lune started as a business plan in January 2014 and, with an initial D-Prize business competition award of $15,000, the team began ground operations in June 2014 in Burkina Faso. Social enterprises are tackling the most challenging problems facing the BoP, but, in truth, we have not fully developed specific strategies or approaches for BoP-oriented start-ups in those crucial early months. Successful BoP approaches are context-specific and sometimes challenge traditional top of the pyramid (ToP) business solutions, such as Eric Ries’ Lean Startup model. For instance, the Lean Startup method tests an early-stage product to early adopters and adapts to research findings to eventually meet the needs of mainstream customers. However, in BoP markets, due to market failures and the wide chasm between early adopters and mainstream consumers who are further down the income pyramid, these methods for testing an idea tend not to fully capture purchase behavior needed to reach low-income customers. The following is a list of lessons we have learned during our social enterprise’s first three months on the ground in the heart of West Africa. Even if most of my contacts were made in different sectors and fields, tapping into their network of family members, friends and colleagues has enabled us to reach other organizations and find the best, most qualified staff, mentors and partners. A former supervisor at the U.S. Embassy put us in contact with the Burkina Faso American Chamber of Commerce, where we obtained advice on the in-country customs declaration and importing processes. In a place where the concept of a “start-up” does not exist, having a lawyer who has been through the process of opening and running a business and with contacts in all of the relevant ministries was a great investment for us. Our local lawyer gave us access to quick and credible answers for questions ranging from duty fees and exemptions to opening bank accounts to relevant labor laws. Some start-ups in developing countries choose to hide from local authorities during their early days because they fear becoming the target of unwanted attention. At least in Francophone West Africa, this is not an option. Presenting the social enterprise to local traditional and political leaders, as well as national government authorities, has helped us to broaden our network, gain greater insight into how similar projects operate in-country, and learn what political opportunities and risks we should look out for as we grow. For instance, some of our early successes in partnering with the largest passenger bus network in the country – with national reach across 29 stations – came largely because of our visibility at a business exposition for political and industry leaders, and our Burkina Faso legal status and recognition. Almost all of our customers make less than $4,000 USD per year. This makes them far more discerning consumers and makes us work that much harder to earn their trust. Even the slightest increase or decrease in price dramatically changes their willingness to buy and erodes their trust in us. This willingness is also influenced by timing. Salaried customers at the BoP may be paid irregularly and savings behaviors may vary greatly through the year, such as before the beginning of school enrollment periods. Furthermore, customers in the agricultural sector may cash in on food crops only at the end of the growing season. Each of these cycles plays a big role in attracting (and retaining) customers based on their consumption behaviors at a given moment. Market signals are harder to discern in developing countries with nascent marketplaces. Listening to what our customers have to say has helped us quickly make changes when something in our model is not working the way we assumed it would. Listening should not be confined to small focus groups as it is often done at the ToP, but can be an ongoing process with your customers. Using a combination of point-of-sale data collection, SMS mass texting, phone call check-ins, in-person interviews and quick surveys has allowed us to listen to our customers and stakeholders. By giving our customers the opportunity to make their opinions known, we have increased the fidelity of our clients and helped improve our business’ value proposition. Although modern business thinking calls for start-ups to fail fast and fail often, social enterprises at the BoP should consider the increased risks faced by those team members from the developing country. The Burkinabé members of our team are more vulnerable to shocks and would be left to pick up the pieces of a start-up that failed. Thinking through what a minimum viable business model would look like for the BoP should take into account these vulnerabilities. Failing businesses will always be a reality. But we are making a conscious and concerted effort to be transparent about our goals of getting beyond the start-up phase to scale Clair de Lune while, at a minimum, creating a business that can grow organically with the six employees that we currently have even if we fail to scale. A large part of our success will depend on the local staff we are able to attract and retain. At every step of the way, we engage with our local staff to ensure that we are improving their lives and that they continue to grow with the business. Andrew B. Lala is the co-founder of Clair de Lune.